This slinky shell blouse is cut from smooth fabric that drapes like a dream. 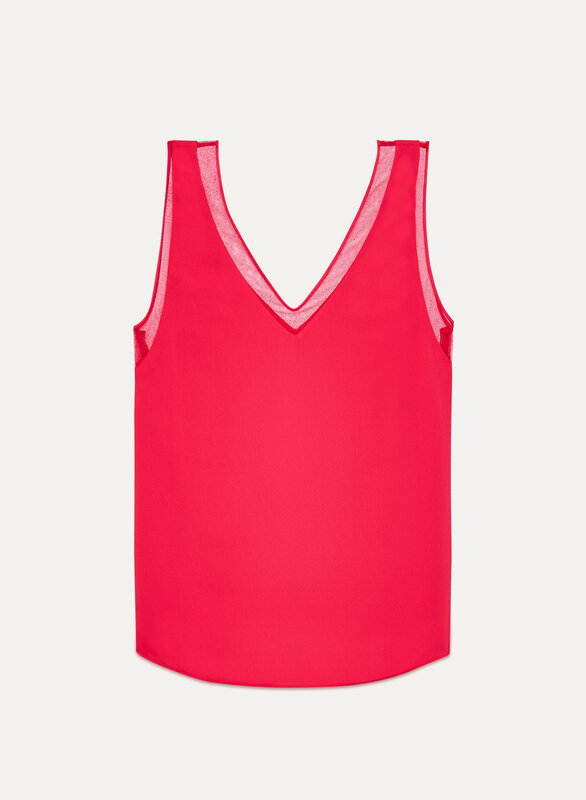 The neckline and armholes are trimmed with ultra-fine mesh that's soft against your skin. Pretty. Finally a cami that doesn’t show my DD cleavage! I want it in every colour.